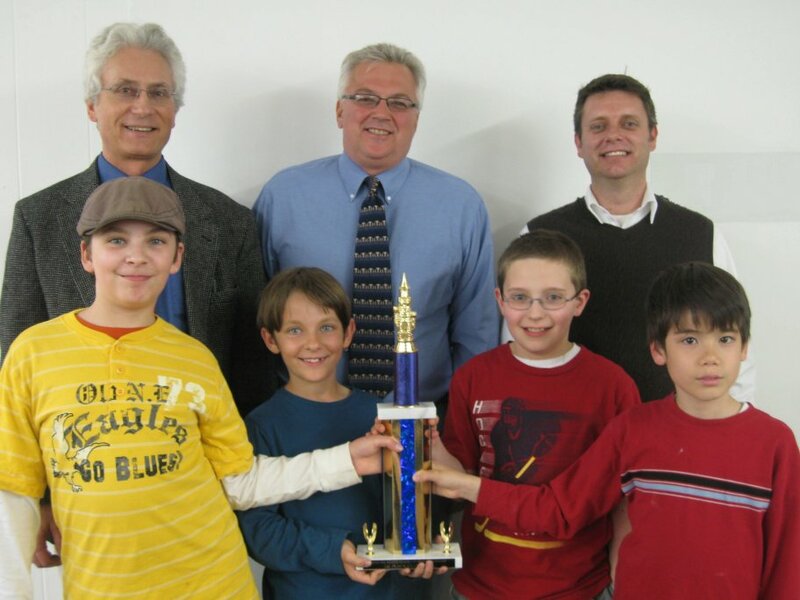 Chess4Kidz Instructor Henry Doktorski, North Fayette Township Department of Parks and Recreation Director Bob Brozovich, Assistant Instructor Bill Robertson, and team members Isaac Bennett, Joshua Bennett, Billy Robertson and Ko Prescott proudly display their trophy. 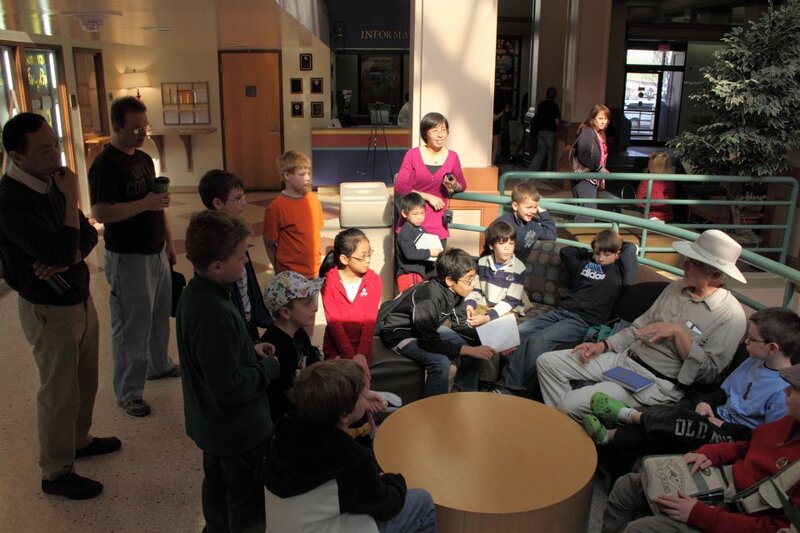 March 20, 2010: Henry’s North Fayette Township Chess4Kidz team won the 1st-place trophy at the 2010 Pennsylvania State Game/29 Scholastic Tournament held at the University of Pittsburgh Student Union. Team members also won trophies based on their individual performances. 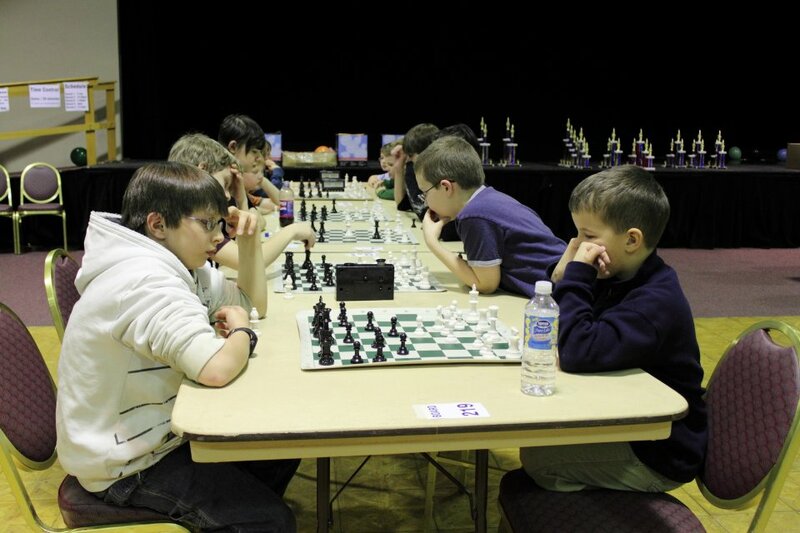 Joshua Bennet won the third place trophy in the entire scholastic division (out of 23 players), and his brother Isaac won the 1st-place trophy among players rated under 600. Billy Robertson won the 2nd-place trophy among unrated players. 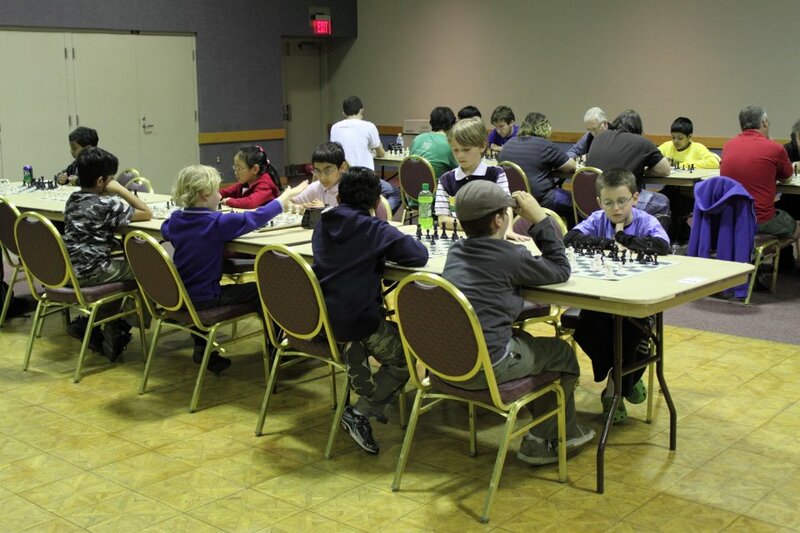 Henry currently conducts Chess4Kidz classes at the North Fayette Township Community Center in Imperial, and also at the Bethel Park Community Center in Bethel Park, Pennsylvania. 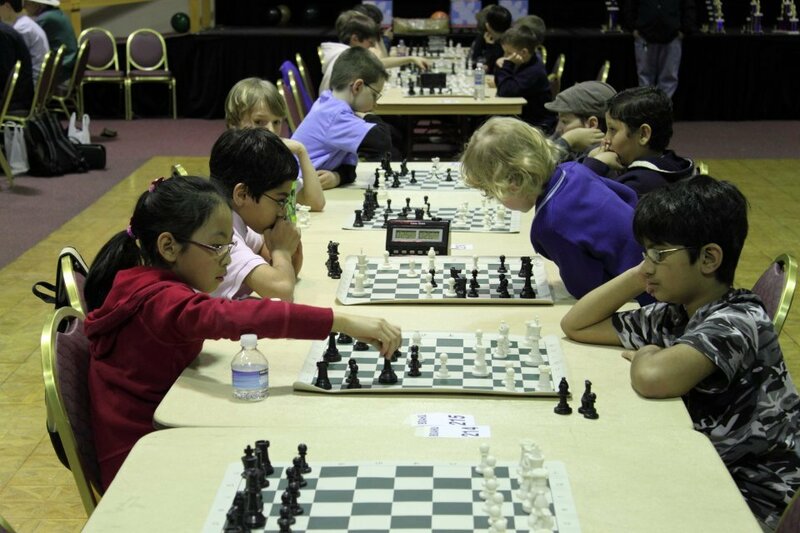 Two of Henry’s Chess4Kidz classes entered teams in the event: North Fayette Township and Bethel Park. 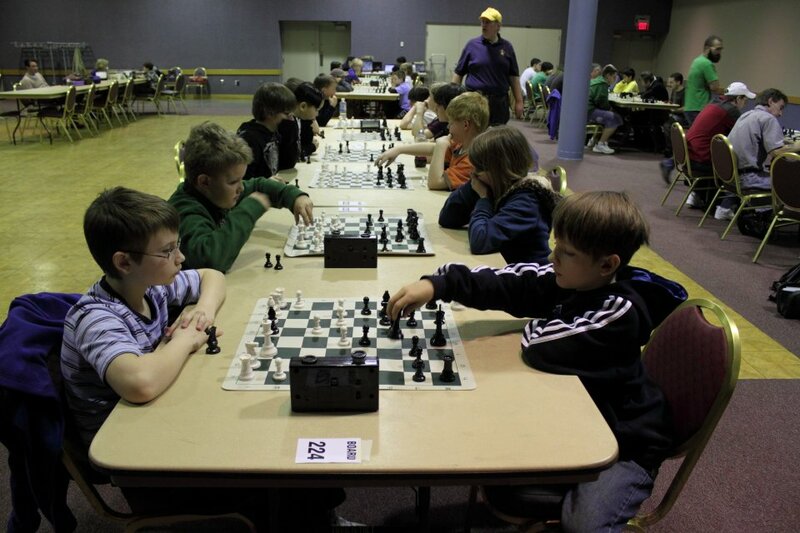 Students competed against each other, and against teams from State College and the University of Pittsburgh .